Is Refined Sugar Really Toxic? So far in this series, I’ve covered a variety of ‘alternative’ sweeteners: natural sweeteners like honey and stevia; artificial sweeteners like aspartame; and sugar alcohols like xylitol. But what about plain old white sugar? And what about the increasingly common industrial sweetener, high fructose corn syrup? These two get a pretty bad rap, even from mainstream media, and although much of their reputation is deserved, there are some misconceptions that I’d like to straighten out. The sweet (and not so sweet) truth about refined sugar. Most of you are probably aware that excess refined sugar isn’t great for your health. Sugar and HFCS are particularly detrimental when consumed in liquid form, because we don’t tend to compensate for calories we drink by reducing our calorie consumption elsewhere. (1) This can lead to weight gain from overeating, along with elevated triglycerides, insulin resistance, and other indicators of metabolic syndrome. Refined sugar has also been implicated in reduced immune system efficiency. (2, 3) In one study, immune cells demonstrated a significantly reduced capacity to kill pathogens (e.g. viruses, bacteria) following sugar consumption (from sucrose, glucose, fructose, honey, or orange juice) when compared with fasting levels; starches didn’t have this effect. Unfortunately, this study was quite small and I haven’t found further evidence to corroborate or refute these results. I believe it’s a good idea to avoid sugar when your immune system is compromised. Refined sugar is also thought to promote cancer growth by ‘feeding’ the cancer. While it’s true that cancer feeds on sugar, it actually feeds on the glucose in your blood; not necessarily the sugar you eat. (4) While those two factors are obviously linked, it’s more important to be aware of your own blood sugar control, and don’t consume more sugar (or carbs in general) than you can effectively metabolize. After all, you will always have glucose in your blood as long as you’re alive, so the goal is to avoid having high blood glucose over a prolonged period of time, not to eliminate glucose entirely. But while there’s plenty of evidence that excess sugar or HFCS can be harmful to health, there’s actually no evidence that small amounts of refined sugar in the context of a nutrient-dense, whole foods diet (and active lifestyle) is harmful. The problem is that limiting yourself to small amounts of sugar is often easier said than done. Addictive properties of sugar have been observed in rat models where food is restricted for 12 hours, encouraging a binge-like pattern of consumption. (5) These rats experience dopamine and opiod release that resembles the neurological response to substances of abuse, although significantly smaller in magnitude. Additionally, these rats experience opiate-like withdrawal symptoms after being given an opiate-blocker, or after a period of fasting. Most human studies, however, have not reproduced these findings in rodents. (6, 7) (As always, it’s worth noting that the second reference was partially funded by the World Sugar Research Organization.) At least one small study which interviewed obese individuals did find that, based on self-reported symptoms, some obese patients fit the profile for sugar addiction, particularly those who also suffer from binge eating disorder (BED). (8) But as of yet, there’s little to no rigorous evidence that sugar is chemically addictive in humans. However, some evidence does indicate that sugar can interfere with the normal hormone signaling from ghrelin and leptin, both of which help control appetite and satiety. (9) So although this isn’t an ‘addiction’ mechanism, it’s another way in which sugar can encourage overconsumption in susceptible individuals. Whether sugar is addictive or not, from a practical standpoint, it’s often easy to eat more sugar than you mean to. Certain people are going to be far more sensitive to these effects than others, so it’s really a matter of being familiar with your own eating behavior when it comes to potentially addictive foods. Is High Fructose Corn Syrup Really Worse Than White Sugar? So far, I’ve been talking about white sugar and high fructose corn syrup (HFCS) somewhat interchangeably. But HFCS is without a doubt the more vilified of the two, both in the natural health community and in mainstream media. Foods and beverages sweetened with “real sugar” instead of HFCS are seen by many as ‘healthier’ and more ‘natural,’ and even big soft drink companies like Pepsi are trying to cater to the ‘natural’ crowd by offering “made with real sugar” sodas. If HFCS can make sugar look like a health food by comparison, it must be pretty terrible for you, right? Well, first, let’s talk chemical composition. White sugar, or ‘table sugar,’ is simply sucrose, a disaccharide composed of one glucose molecule and one fructose molecule bonded to each other. This means that table sugar is always 50% glucose and 50% fructose. Contrary to popular belief, HFCS has about the same amount of fructose as white sugar. It’s also the same level of sweetness. (10) The two most common forms of HFCS in our food supply are HFCS-42, which is 42% fructose, and HFCS-55, which is 55% fructose. This is certainly “high fructose” compared to regular corn syrup, which has no fructose, but most people hear “high fructose” and think ‘mostly fructose,’ which is definitely not the case. I know many of you are also concerned about GMOs in HFCS. Genetically modified varieties of both sugarbeets and corn are grown and consumed in the US, with corn much more widely so. (13) Overall I’d say you’re probably better off with table sugar rather than HFCS from a GMO perspective, because it’s produced from crops that are less commonly GMO. It’s also pretty easy to find organic, non-GMO sugar. So, How “Toxic” Are Sugar and HFCS? White sugar and HFCS are not “toxins” in the sense that even small amounts are highly undesirable and potentially harmful. Excess refined sugar can have undesirable health effects, but its addictive power is not comparable to a drug, and HFCS isn’t that much different from table sugar. Some people may be highly sensitive to even small amounts of sugar, often due to severe gut dysbiosis, and in this case they’re justified in avoiding it vigilantly. But barring extreme sensitivity, there’s no evidence to indicate that refined sugar (or HFCS) is actually toxic in moderate amounts, and most people would be better off avoiding the stress that comes from being unnecessarily fearful of any food that has even a trace amount of refined sugar in it. I’d even go as far to say that intentionally consuming sugar on occasion shouldn’t be a problem for most people. If every now and then you decide to indulge in a piece of dark chocolate or have a scoop of real ice cream made with refined sugar, you shouldn’t mentally and emotionally beat yourself up or force yourself into a week-long “detox” to make up for your dietary transgression. The stress that comes along with excessive food restrictions can be much more harmful than having a bit of refined sugar here and there. Sugar is neither a toxin nor a replacement for real food. Ultimately, small amounts of sugar can fit into a whole foods, nutrient-dense, healthy diet, as long as you recognize it for what it truly is: a treat. Now tell me: What’s your philosophy on refined sugar? Do you avoid it like the plague or happily enjoy it on occasion? Share your thoughts in the comments below. This article is Chris’ sugar addiction justifying his occasional sweet transgressions. Just kidding with you, Chris. Experience shows for example, that children who eat lots of sweet things lose the ability to appreciate the “bitterness” of most vegetables and many fruits and are therefore “forced” to consume only sweet food stuffs. Is this “addiction”? No, that’s preference, established by household culture. Regarding the addiction concept, some researchers have shifted the focus from a more medical substance based model to a more behavioral model for dependencies, and I think that is probably especially applicable to eating behavior. The reward rate and intensity qualities of specific foods probably do play a role, and the two models overlap and are not mutually exclusive, this is a matter of emphasis. I think this shift helps make more sense of the role of eating habits vs. the role of specific foods though. I suspect that culturally we put too much focus on specific foods, granting the branding of “health foods” excessive power over us, and not enough on behaviors we can control ourselves. Wow, long discussion, and not sure I want to wade through/wait for a reply, but still looking for clarification on the fact that in Chris’s book, “Your Personal Paleo Code”, on page 79, in Chapter 4 (Three Foods to Avoid: Minimizing Toxicity in Your Diet), Chris lists refined sugar as one of three toxins to eliminate, and I quote: “Refined sugar (in a word, toxic)”. “Toxic” is in italics. Hi i work out and the suggested post workout shake comprises of simple sugar ie glucose and protein powder, as much as 20/30gms ive seen of glucose in one serving. Is this too much at one time? Are starches such as Vitargo or Waxy maize different to sugar ? Hello Chris, great post. I appreciate you for considering such important topic for writing. I really enjoyed reading important facts about refined sugar & it’s toxicity limit without our body. Few years earlier I used to eat refined sugar a lot with tea, coffee, & milk. Consuming sugar a lot can cause diabetes problem & for the fear of that I decided to eat raw sugar as less as possible. My wife helped me a lot quitting sugar & now I’m totally a occasional eater of refined sugar. I am so glad to see a reasonable approach to this topic. I have been one that has read labels and dutifully avoided refined sugars almost to a fault. I have indulged in an occasional treat if it has organic cane sugar or juice since I figured organic meant no GMO. This article really takes the stress off trying to eat clean and avoid things that are harmful to the body. Thank you very much for this information. I am much happier to go for mascavo sugar or rapadura rather than a highly processed sweetener. completely unhappy to eat any manufactured food in which the manufacturer decides how much sugar and other goodies to put. and after a hard workout, some simple carbs are great! i am most interested to understand the effect on feeding our bad gut bacteria – is white sugar worse than whole sugar? is there less effect if taken after hard exercise? is there less effect if eaten with substantial fat or protein? The body doesn’t metabolize HFCS as it does sugar. Excess HFCS stays in the liver and actually can lead to fatty liver — which has been discovered at autopsy in young people. Of course, no one would recommend too much of either, but too much HFCS carries the added damage to the liver. Unfortunately, it’s *everywhere* in the food system, though some companies have switched back to sugar. great article. It’s like Paracelsus said: “The dose makes the poison”. Period. Oh boy, is that ever wrong! The trouble with your argument is, poison is poison, no matter how you look at it. Taking more of it will kill you right away; while taking less of it will kill you over a period of time. It’s up to you how you want to die: Right away, or slowly and painfully over time. It’s quick death vs. gradual death — and neither something you should strive for! Technically your right but Tom is right generally speaking over the long term when talking about HFCS and less potent toxins. The frequency which one takes HFCS is I think another factor. The average person drinks 60 liters of soda per year. That works out to 11 pounds of HFCS. Soft drinks are the worst. Then you add in the other food which works out to 60+ pounds a year. People can handle toxins in different degrees. I think back in the 1960s the average consumption was 10 pounds so I would guess anything under 20 pounds healthy people in general can handle. Actually, “trace amounts” of arsenic in food or water are more common than you seem to think. The dose DOES make the poison. That’s the basis of the science of toxicology. Carcinogens are the exception, as we still don’t understand the exact mechanism by which they cause cancer, so it is (theoretically) possible that a single molecule could trigger cancer. But for other toxins, they really are dose-dependent. Even arsenic, which is, BTW, present in many soils naturally. While I would not go out of my way to eat even a low dose of arsenic, I know as a scientist that low concentrations are present in many whole, natural foods. If you are going to eat, you are going to consume toxins, even if you consume an organic, pristine diet. Many toxins are (and have always been) present naturally. The allowable levels of toxins are set based on the amount the body can process without apparent harm. Note that the toxicity of a given compound is “route-of-entry” dependent as well — an amount of arsenic (for example) that would kill you if consumed by mouth may have no harmful effect if applied to your skin. And remember, too, that there are compounds and elements like copper and selenium that are essential micronutrients in small amounts, but are poisonous at higher concentrations. Because you have selected an element (arsenic) that may not be essential in the human diet, that does not negate the entire basis of toxicology. Absolutely. For me ANY SUGAR makes me unstable and poisons me. After 40 years of torture, I have more energy than even as a child. Am completely emotionally stable and at peace. NEVER sick. No flu. No colds. No sinus. No arthritis etc. After a lifetime of these sicknesses and severe depression, I’m ten years clean of sugar. Pure poison. For me anyway. I agree with what you are saying and was going to share it but one problem, from what i have come across in several articles is that HFCS contains mercury. Which, in turn, will make it a toxin and regardless of how low the levels would be, it doesnt justify it as okay. Id like to hear your thoughts on that. I suspect that the worst of the overconsumption problems people generally associated with “sugar” are actually a result of the engineered flavor additives that make sweet tastes more distinctive and more rewarding. I doubt that many people would find sucrose/fructose addictive by itself. It is “toxic” only in the sense that overconsumption leads eventually to problems with blood sugar regulation that make the levels in our blood toxic. I think the focus often placed on making sugar itself a toxin may be somewhat based on some faulty premises and extrapolations from epidemiological data that uses too broad a brush. I wonder if we should instead be focusing our attention on dealing with the ways that sweet flavors have been enhanced commercially, either by getting individual control over the ingredients in our food or by finding ways to encourage food providers to provide options that focus on nutrition and natural flavors rather than flavor reward and variety. Just my thoughts, fwiw. I ate a lot of sugar in the past, in my childhood. I remember everyday going to the shop and buying all kinds of sweets. When I think of those time right now I get ugly feeling and question myself how could I do that every day? Right now I’m avoiding sweets and sugar. I stay away from all candies and sweets as far as I can :D.
I think that some white table sugar and sugar in processed foods is made from GMO beets. It’s best to look for “cane sugar” on the label to be sure that you’re consuming real cane sugar. Otherwise, it’s probably GMO beet sugar. This article is an example of why I trust Chris Kresser. He doesn’t subscribe wholesale to any diet dogma, but rationally and objectively surveys the data and recommends dietary guidelines. When folks get married to certain ideas about diet and food (as evidenced by many comments here), they can’t stomach (ha-ha) any information that doesn’t reinforce those beliefs. I especially like how Chris points how stressing too much over what you eat perhaps being worse for you than eating the feared food. One thing that keeps me from getting too religious about food is this: I picture one of the billions of people who would be so grateful for the bun I carelessly toss in the garbage because it has, god forbid, gluten! It’s easy to forget how ridiculously first-world we must seem to most of the planet’s population. I know from first hand experience that HFCS can really pack on the pounds. A few years ago I eliminated any products that contained it, and they were many. That stuff is in everything!!! I lost a pound a week for the next 3 months from that one simple change. I didn’t reduce my sugar intake in any way and I was very happy to get back to a reasonable weight. I don’t crave sweets. I do think sugar is toxic. If it’s not, I still think it’s best to be avoided and has ill effects. I have a jar of raw honey on the counter. I add a bit to high-fat yogurt just so I can get rid of it. I probably won’t buy anymore of it. It has too much sugar. I used to crave chocolate and dairy. I don’t anymore. Like Polly said, I too think cravings for sweets is due to a nutritional deficiency. Fructose has been implicated in diabetes and obesity etc. I have been taking CLA for some years. There was a year my metabolism suddenly broke and I couldn’t lose any weight either through diet and exercise. CLA resolved the problem but it took me 7-8 months before I even started to see any results. I am chronically ill. I did it with no exercise or dieting. Belly fat stays off my waist with no effort. I have given it to a few other people and they have shown much quicker results. They say you MUST exercise and MUST diet. The problem with this is that chronically ill really people can’t exercise so it is hollow advice. People can also have joint and spine degeneration (which there is a cure for) problems. 1) You will gain weight before you lose it. The weight scale is useless because you will gain muscle and muscle weighs more. You pinch the fat on your waste with your fingers to guesstimate how it’s going. I had zero results in first 6-7 months probably because my body so was broken. 2) How long it takes to work varies in each person so not something for someone who doesn’t have patience. This isn’t a quick route or immediate gratification. 3) Never take on an empty stomach. I usually took CLA usually after meal. I’ve even take it an hour after a meal a few times. Food needs to be in stomach. 4) The CLA needs to build up in your system. I took 6 capsules a day. I just concentrated on building it up in my system and nothing more. I remember during the 7th month waking up one morning and feeling a little different especially weight wise but just thought it was my imagination. I wasn’t even thinking of the weight loss for many many months. I pinched my belly and realized that fat was melting away and all the other wrong places. CLA has been scientifically proven to be one of the few proven ingredients for weight loss. I do think it counteracts diabetes also. I wonder how many people who have taken CLA just quit because they didn’t understand how it worked or got on the scale and declared it a failure after they saw weight gain. Given it’s ability to counteract fructose, this may be worth trying even if you have no weight problem. This is something to consider trying if you haven’t tried it. Interesting information about CLA, it sounds similar to taking L-Leucine with glucose and Reservatrol. I have found D-Ribose really takes away any cravings for sweets. Just a clarification about CLA (Conjugated Linoleic Acid). I use the phrase “weight loss” in above post but I should say FAT loss. This is where the real focus needs to be. My maintenance is 2-3 capsules a day. If I eat at a buffet I will boost it up to 5 or 6 capsules. Research would suggest that people who have hypothyroid tendencies would definitely benefit but non hypothyroid people benefit also. After taking CLA … 250 lbs 44 waist … slim. Even less belly fat than when I was 215. My weight can vary between 245 to 265 and I still stay slim with 44 waist. I don’t work out. I just swim a couple days a week. I’ve had my pants nearly fall off me many times. I need to make sure the belt is tight. If I wanted to, I could easily cut down my weight by removing some hidden muscle by burning it up with exercise but muscle burns fat so won’t. Ultimately the shape of your body and composition (fat and muscle) of the weight is really what counts. Don’t get focused on just the number on the weight scale. I realize it is hard to do especially if you have been conditioned to do that. Just stick with pinching the fat on your waist. Increases metabolic rate — This would obviously be a positive benefit for thyroid patients, as hypothyroidism — even when treated — can reduce the metabolic rate in some people. Decreases abdominal fat — Adrenal imbalances and hormonal shifts that are common in thyroid patients frequently cause rapid accumulation of abdominal fat, so this benefit could be quite helpful. Enhances muscle growth — Muscle burns fat, which also contributes to increased metabolism, which is useful in weight loss and management. Lowers cholesterol and triglycerides — Since many thyroid patients have elevated cholesterol and triglyceride levels, even with treatment, this benefit can have an impact on a thyroid patient’s health. Lowers insulin resistance — Insulin resistance is a risk for some hypothyroid patients, and lowering it can also help prevent adult-onset diabetes and make it easier to control weight. Reduces food-induced allergic reactions — Since food allergies can be at play when weight loss becomes difficult, this can be of help to thyroid patients. Enhances immune system — Since most cases of thyroid disease are autoimmune in nature, enhancing the immune system’s ability to function properly is a positive benefit. Thanks for the info. I remember when I was eating a lot of yogurt I was much thinner. Yogurt is a good source of CLA. I’ve started up again and will check out CLA supplements. I agree with Chris, that sugar in small doses is not toxic. It’s just that in our modern diet, limiting ourselves to small doses is pretty difficult, and refining sugar has meant its omnipresence in our food, and in more places than we realize. I can’t help thinking of ‘refined’ as ‘processing unwanted elements’ but also ‘elegant and cultured manner and taste’. Alongside the origins of refined sugar, available strictly for the wealthy, and in small amounts because of short supply, it’s only with the industrial revolution where we mechanized our refining of sugar (and culture?) that there was so much of it and as is often the case, excess became toxic? Does anyone know if dextrose is ok to use occasionally? Can you address the “fructose is metabolized in the liver” issue? Also, in reading about HFCS it seems that it is processed to alter the the chemical composition (turning some of corns glucose molecules into fructose). Does this play a role in the it’s bad reputation? I’m so delighted you’ve brought this up. I used to believe I was addicted to sugar and spent my life ‘fighting’ my urges – then giving in and bingeing. I was bulimic as a teenager and spent most of my adult life with BED. My biochemistry I would guess is pretty much the same as it always has been (question for the doctor?!) – but I no longer believe as though or behave as though I’m addicted to sugar. Giving myself permission to have it, without guilt, has transformed my life and my relationship with sugar and carbohydrates. I do eat them from time to time, but this no longer pushes me over the precipice down the slippery slope. Similar story here…I allow myself reasonable amounts of organic dark chocolate, sans guilt, and no longer feel the compulsion to eat the whole bar. And, Trader Joe’s spicy peanut vinaigrette is a staple in our kitchen. Sugar is the second ingredient on the label. I figure as long as I limit amounts and am eating it with plenty of fiber (love it on grated carrot/sauerkraut salad), it shouldn’t be an issue. I also mix it with additional peanut butter, which I think helps defuse the sugar impact. Of course, I use good quality peanut butter, organic if possible. There is a grey area in this so called sugar addiction. There are foods I really like but they are healthy. Am I addicted to them also. I just use moderation. Usually after I eat something, I don’t want to eat it as much anymore. I want and desire variety. I get bored with any particular food really fast. Historically going back to the early 1900s, the average intake of sugar was 60 to 70 grams per day. I try to stay within or below that range MOST of the time. It’s pretty easy. If I see something I really like then on occasion I will intake 700,000 grams (LOL). I will usually skip 3 to 4 days because I just don’t feel like eating anything overtly sugar. I will eat fruit on those days. When I eat, I try to eat within an 6-8 hour period so my stomach is resting for 16 to 18 hours a day. I drank 3 large bottles of Sierra Mist (uses sugar) recently but that was first soda I had in 6 months. It has 37 grams of sugar per 12 ounces. I generally stay away from soda. I’d rather make a lemon meringue pie (i use almond milk and 1 1/4 cup of sugar). I can eat half the pie and be within a reasonable range of the overt sugar. I found this big box of danish that has high quality ingredients in it. Haven’t had a danish in a while. I haven’t felt like eating any more danish in a while. I don’t deny myself except if i am experimenting with something. I think the person who says that we have individual situations so one size advice doesn’t fits all. I think people who have to battle problems all the time have something key that is still broken whether it is metabolism, gut problems or infections in them and not addressed. I understand the frustration that people have in trying to solve them. I hope that you will cover Dextrose and D-Ribose as well. This is a very informative series and great reference. My particular interest at the moment is glucose interaction with leucine and which is the better provider of glucose. It appears that excess carbohydrate/glucose consumption may be responsible for health problems than go beyond obesity or difficult to control weight gains. “A poor diet can eat away at brain health. Now a study in Neurology suggests that eating a lot of sugar or other carbohydrates can be hazardous to both brain structure and function. … These findings indicate that even in the absence of diabetes or glucose intolerance, higher blood sugar may harm the brain and disrupt memory function. Future research will need to characterize how glucose exerts theses effects and whether dietary or other lifestyle interventions might reverse such pathological changes.” —Emilie Reas, Scientific American Mind, July/Aug 2014. The original study was conducted by researchers at the Charité University Medical Center in Berlin. If I knew I was going to live this long, I’d of taken better care of myself”. I always have to remind myself when I advise/soapbox, we are all similar and perhaps spiritually equal. But physically we are as varied as snowflakes. 🙂 just ask Pasteur about when that nut case drank his tube of anthrax toxin and it didn’t even phase him. If you have a physical malfunction similar to one I’ve mediated, I can tell exactly what I did, and it may or maI was y not help. My hope is always to assist, but ‘let the buyer beware and do his own due diligence’. Even Kris knows he doesn’t know everything. He’s good mind you, but even with science, people are built with wide varieties. That’s what make the AMA /big Pharma philosophy so heinous. It is based on the notion that everyone is identical. I’m not even like I was five years ago. Things change; entropy is. By the by, it is my understanding, that excess fructose is processed by the liver like fat. When the liver overloads with it it starts cranking out uric acid. So joint problems like gout can be a result of too much high fructose food items/soda pops/deserts. HFCS is proliferate in many foods, like granola bars, ad nauseum. I am really happy to see you are suggesting a more balanced approach, Chris. I really enjoy this new direction you seem to be taking. Keep up the good work. You state that “regular sugar is simply sucrose, a disaccharide composed of one glucose molecule and one fructose molecule bonded to each other.” I have read that while HFCS is also fructose and glucose, unlike sugar which is a bonded molecule, HFCS fructose and glucose remain two discrete molecules and your body doesn’t know how to handle it. Therefore HFCS “sugar” ends up stored as extra fat in your liver. Is this a reason why obesity has exploded since the 70’s when HFCS became the commercial sweetener of choice in the manufactured food industry? I am a sweets addict. If I crave sweets (which happens pretty often), I PACE if I can’t find anything, or I will INVENT something/ANYTHING from brown sugar, sugar or even honey, but honey isn’t really sweet enough. It’s a horrible, overwhelming thing, much like drug addicts must feel. I have to be very careful because I am also pre-diabetic. If I eats sweets, then I crave them MORE- I call it “feeding the demon”. I wish I wasn’t like this, because it is a constant battle. I fight to the best of my ability and I am eating clean as much as I possibly can. As someone who has promoted sugar-free living for a few years, I’m delighted to see you tackle this topic with your investigative, evidence-based approach, Chris! I do wonder about the emerging evidence concerning the connection between overeating and sugar consumption. Based on my personal experience, I wonder if we don’t fully understand the mechanism that triggers lingering cravings and subsequent overeating after the consumption of a high sugar meal. Honey, maple syrup, and other “natural” caloric sweeteners seem to have similar effects. In spite of what the evidence says at this point, I know that there’s no other food that makes me want to go back for seconds like sugar! What’s your take on the GMO issue? Sweeteners like xylitol and erythritol are 99.9% pure, and don’t contain genetic material in the crystalline product, to my knowledge. I frequently receive questions concerning the source of erythritol that I use, and so I wanted to hear what you had to say about that. I am addicted to sugar, and have tried to give it up countless times since I was ten years old. When I try to stop eating sugar, I have shakes and aches and feel depressed and anxious, and hungry no matter how much food I eat. One packet of sugar in a glass of water and I feel normal again. I avoid white sugar because of how I feel often when consuming food that has a high content refined sugar. My system feels off. Especially problematic was when I had a parasite. Then the sugar seemed to amp symptoms up more. Generally, I feel and run smoothly when I don’t eat foods with sugar or sweeteners, but can’t say I completely screen it out all together. . .sometimes I indulge in chocolate cake on birthdays and special occasions. Hi – also I use Yucon Syrup in my home made baking – it is a low glycemic sweetener, what is your thoughts on this? Or would you recommend something else? Which would be better to have in a sports drink – glucose or fructose? There is much debate here, and I go back and forth on this.. If sugar is not addictive then why do I think about eating it EVERYDAY! It is hands down the only ‘food’ I crave eating absolutely everyday, sometimes more than once a day. It is also the only consumable that I have not been able to quit consuming. If it’s not addictive then I must be broken. “Addictive” is a medical term that implies certain physiological mechanisms at work. A food (or other substance) can be highly rewarding—another scientific term with a specific meaning, i.e. a food that is rewarding makes you want to eat more of it—without necessarily being addictive in the true sense of the word. There’s no doubt that sugar is a slippery slope for many people, which is one of many reasons I don’t recommend regularly consuming it. Some people (like myself) are able to eat it occasionally without going down that slippery slope. For example, I might have some ice cream once every few weeks, and that doesn’t increase my sugar consumption outside of that brief excursion. But others have trouble eating sugar occasionally, because even a little bit tends to lead to more. In this case it’s best avoided entirely. You seem to disagree with him! I don’t! He shows specifically how sugar reacts in the brain exactly the way drugs of abuse and addiction do! Michael — your comments are interesting but I am confused. Should we eat less fruit, less grain, starchy veggies or what? If you know the answer, I would love to hear it – particularly in reference to diabetes and cancer. I can’t understand the whole pyruvate, P13K and other serious metabolic information. Jut got a message fro Tom explaining how he couldn’t take one drop of sugar without losing his whole food health plan. I am the same I put 10 lbs on just be increasing my fruit every day and a few extra carrots and onions. What a chore this is . What about substituting organic stevia powder or extract for sugar in drinks and snacks? I have done this quite a bit in the past couple of years and it helped me lose A LOT of weight and lower my triglycerides (I used to drink a lot of soda and sugary tea)! I’ve also noticed that raw unsweetened cocao powder or nibs help in managing sugar cravings. At least for me. About two years ago I had a blood test and discovered I had “high blood sugar”. I’m a firm believer in the power of my mind. Now, I don’t like sugar. I really really don’t like the taste of anything sweet …………..even fruit is a bit of a must do. It didn’t take any long period of adjustment. Just that simple directive. The mind obeys orders!!! Well done! I’ve experienced similar. I don’t care for most sugary foods these days. you can look at scientific studies and say everything is ok with hi fructose corn syrup but you don’t see the more important research that goes on in black operations. you don’t have access to their covert scientific studies. the other consideration is that by itself it may not be harmful but with other toxic substance, it could. It could be part of a binary weapon. also scientific studies are not the end all or be all either. the results can be rigged. the integrity and motive of the ones doing the study are as important as the study. one needs to use their intuition also. The fact that companies stampeded into putting it into products across the board for frivolous savings raises a lot of suspicion. HFSC is guilty just by association. The cost savings makes no sense. People don’t decide whether to buy or not buy a product based on a couple pennies. The cost of organic or sugar based products is way to exorbitant. they sell the contaminated products the cheapest. if one takes heinz ketchup, they use to sell one kind of ketchup but then expanded to a whole bunch of ketchup. imagine the additional costs to do that. they mark it up by at least a dollar or more for better ingredients when the ingredients are dirt cheap. if that’s not enough, the taste of the ketchup is still the same. they could streamline all their different ketchup products with healthy ingredients and cut costs but they don’t because it’s about hidden agendas. they intentionally poisoned their products. the low income people can buy the poisoned variety. it is estimated that 1 pound of HFSC was eaten by people in the 1960s and the estimate now is 50 pounds. i don’t think most people need to completely avoid it but just minimize it. I also watch out for gmo sugar. it needs to say pure cane sugar or else it is gmo sugar. Chris, if it is physical, psychological, emotional or just by Habit, some people are indeed addicted to sugar and carbs. Because of that, they can’t keep up with their diet. They have some, binge, feel guilty, start over full of hope, have a little slip on sweets, quit, binge and the vicious circle starts over. A little sugar may not be a harm for people that have total control of their impulses. But would you recommend a beer once and a while in a AA meeting? No, and thats the answer for several people like me. No sugar, no cheat day, no cheat meal.. Unfortunately. Any comment about using dextrose / glucose syrup instead of sugar. I substituted dextrose for sugar and removed my sugar addiction / craving. I have seen Dr. Lustig talk about the bio chemistry of sugar and his opinions on the matter. I do find all of it fascinating. I do not necessarily have an aversion to sugar in general but in the last year I have been undergoing a couple nutritional ketosis experiments, the latest overseen by a medical doctor. Though, in between my cycles of NK, I was happy to eat plenty of fruits, add a teaspoon of sugar to my coffee, etc. I didn’t notice any distressing effects or mind altering binges. I can see the ability to overeat sugar, which I suppose is the main point here. Finding a way to manage sugar intake. A note to that is, now going through NK, where I really want to manage glucose, I am much more aware of the foods and foods substances that have much more added sugar than you need, further blowing my mind about its presence in nearly everything processed. Thanks Chris for tackling the subject and look forward to more. I use date sugar in my baked goods and coconut candy. It is a whole food (just ground dates) and metabolizes as a whole food. I use ripe, mashed bananas occasionally too. My feeling is that whenever you can, eat whole foods. But, the bigger issue is to reprogram the sweet tooth most of us developed in childhood not to expect “treats” to be super sweet. That said, I do enjoy my piece of dark chocolate at the end of the day! I found organic raw sugar cane sugar not to be as sweet as refined white sugar. I do measure the amount 3/4 tsp I put in my coffee…or I use organic honey that is grown on my place when I have that available. I don’t see a problem with small amounts of sweets if you can handle it or large amounts if you can handle it. I have found though the older I get the less tolerance I have for sweets and other junk so I have gone as simple as I can when it comes to the foods I eat. Over the years I’ve learned that when I crave something sweet, it means that I didn’t eat well earlier in the day. It’s just as easy for me to quell the craving by eating something fatty as something sweet. Also, as many people report, a desire for dessert right at the end of a meal goes away if you wait 15-20 minutes for the meal to start digesting. I’m not against sweets or desserts on occasion, but I’m trying to understand what my body is telling me. Eating refined sugar on a regular basis interferes with my ability to interpret my bodies signals. © 2014 Cantley; licensee BioMed Central Ltd.
Lewis Cantley graduated from West Virginia Wesleyan College in chemistry and took his PhD in biophysical chemistry at Cornell University where he worked on enzyme kinetics. He did his postdoctoral studies at Harvard University where he stayed as an assistant professor until he moved to Tufts University where he discovered phosphoinositide-3-kinase, the enzyme critical to the control of growth that has dominated his research ever since. He returned to Harvard as a Professor of Cell Biology and later as a member of the new Department of Systems Biology and is now Director of the new Cancer Center at Weill Cornell Medical College and New York-Presbyterian Hospital. Quite early in your research career, you discovered the enzyme phosphoinositide kinase – usually known as PI3K – whose crucial activities are still central to your research. Can you briefly say what it does? PI3K generates a lipid – and a lipid that wasn’t known prior to our discovery. It’s a very minor lipid – that’s why it had been missed – that is the product of inositol phosphorylation mediated by PI3K. Even at the time of our discovery that PI3K makes this novel lipid, we already had evidence that high levels of this enzyme correlated with malignant transformation of cells: in collaborations with Tom Roberts, Brian Schaffhausen and Ray Erickson we had shown that viruses that cause cancers in mice and chickens often do so by activating this novel enzymatic activity. So we knew early on that well-studied viral oncoproteins such as Src and polyoma middle T activate this lipid kinase. We went on to show that the product of PI3K, phosphatidylinositol-3,4,5-trisphosphate (PIP3), was quite high in cells transformed by these viruses. Because of its correlation with cancer, we suspected very early on that PIP3 was an oncolipid – although we didn’t actually name it that. So the connection with cancer was established very early on and then, in an overview of PI3K signaling that you wrote in 2002 , you predicted that studies on the PI3K pathway would lead to new targets for diabetes and cancer. Did you realize then that metabolic disturbances like diabetes and cancer might actually be linked? Well, we did because we published a paper in 1990 where we reported that not only was PI3K activated by growth factors like EGF and PDGF, but it was also activated by insulin . In fact, insulin turned out to be the very best way to activate it. As we continued to pursue that finding through the very early 1990s, we and others found that virtually everything that insulin did required the activity of PI3K. In other words, inhibitors of PI3K or knockouts of PI3K in mice abrogated insulin signaling. Insulin-dependent glucose uptake, for example, required PI3K. And as we were doing our work in mammalian systems – on cell lines and mouse knock-outs – other labs were studying worms and flies, and the gene encoding PI3K popped up in genetic mutants of flies, in a pathway that was downstream of the insulin/insulin-like growth factor (IGF) receptor. While mammals have separate but related receptors for insulin and IGF1, flies and worms have a single receptor that is the ancestor of these two receptors. So PI3K showed up genetically in the insulin/IGF-1 signaling pathway that controls cell growth in flies. In worms, it popped up in a nutrient-dependent age-related phenotype. In fact, it was called ‘age-1’ before it was identified as PI3K because loss-of-function mutations in the gene dramatically extend the lifespan of worms. The genetic network for ageing turned out to be the insulin receptor, IRS-1, PI3K, AKT, FoxO network – the same network that we were uncovering in mammalian systems. So it was very clear by the late 1990s that PI3K evolved as a mediator of insulin/IGF-1 receptor signaling. And as full genome sequences of flies and worms became available it became clear that while the insulin receptor-PI3K-AKT-FoxO pathway was well conserved, other pathways for activating PI3K that we had found in mammalian cells were less conserved. And that led us to conclude that PI3K and PIP3 originally evolved to mediate insulin/IGF-1 signaling and to control nutrient uptake – particularly glucose uptake in response to feeding – and distribute it into the appropriate tissues for the organism to grow. What you are mostly focused on now is specific disturbances of growth-related signaling networks in tumor cells that might suggest new drug targets, and I’d like to ask you about one noticeable thing about these studies – the frequent discovery of apparently paradoxical results. Would you like to say why these studies so often throw up paradoxes? I think what we’re learning, of course, is that biological systems are far more complicated than we’d imagined. As we acquire tools that allow us to acutely knock out or knock down the expression of a particular gene, or have a drug that inhibits a particular step in a metabolic pathway or signaling pathway, we are finding that the system responds to these perturbations by attempting to reactivate the pathway. In other words, a lot of what we call robustness in nature comes about because biological systems have numerous negative feedback regulatory networks that sense when the system is out of balance and become altered to restore homeostasis. So some of the paradoxes come from the fact that whenever you inhibit a component of a signaling or metabolic network, you end up reactivating things upstream of it, giving a result that’s the opposite of what you expected to see. In metabolic networks particularly, it’s been known for a long time that there are all kinds of feedback control. One example of a paradox from our research was the observation that pyruvate kinase, which is the enzyme in glycolysis that synthesizes ATP, actually tends to get turned down in cancer cells. This is paradoxical because cancer cells are typically utilizing glucose at 50- to 100-fold the rate of the normal tissue surrounding it, so why would they want to turn down one of the steps in that pathway and make less ATP? In the end, we figured out that it’s because that allows the cells to use the intermediates in glycolysis for other purposes than just making ATP, such as making NADPH, or making ribose, or making serine or glycine . These are for biosynthetic pathways? That’s right. The cancer cell of course needs to grow, and it needs to be able to control its oxidation-reduction potential. Those are typically a greater challenge for a cancer cell than just making ATP, which it can do through oxidative phosphorylation in mitochondria. So if you turn down ATP synthesis through glycolysis because you’re using glucose intermediates for metabolic processes, you can make up for that in the mitochondria and the cell is fine. So would you conclude that you really need to know your way around metabolism before you can start to predict what will happen if you interfere with a particular step in the pathway? That’s right. It’s only now that we have the tools to acutely perturb metabolic systems and monitor what happens, and we can really begin to understand the wiring diagrams of these pathways. I’d like to ask you one last question, on fructose. You’ve written recently on the very topical issue of whether fructose is a particularly important cause of metabolic disease  and, as we now know, with possible very strong links to cancer. As I understand it, sucrose – and even other carbohydrates – in excess can be metabolized to fructose. So if we’re just eating too much carbohydrate generally, does it really matter whether it’s fructose or any other kind? It turns out that it does matter. Quite honestly, four or five years ago I was in your camp of assuming, you know – fructose, glucose, they have exactly the same number of calories per gram, they can be interconverted instantly inside most cells, so what does it matter? The answer is, it’s really important – and quite striking – because the liver differentially metabolizes fructose and glucose. This specialization is pretty much unique to the liver; in any other cell, the fructose and glucose are pretty much interchanged quite rapidly. But liver does not have hexokinase, so it cannot phosphorylate fructose at the six position. This is in contrast to glucose, which can be phosphorylated at the six position in the liver by glucokinase to make glucose-6-phosphate, which is then converted to fructose-6-phosphate. And that is then phosphorylated at the one position by phosphofructokinase (PFK), which is – and here’s the key point – the ultimate gatekeeper for entering glycolysis. In contrast, fructose that enters the liver is phosphorylated at the one position by fructokinase (also called ketohexokinase) to make fructose-1-phosphate rather than fructose-6-phosphate. The liver is almost unique in regard to the ability to differentially metabolize glucose and fructose. That matters because once it’s phosphorylated at the one position, fructose can be a substrate for aldolase, and shoot down the glycolytic pathway, bypassing the gatekeeper PFK, which is the control step for going into glycolysis. In most tissues, if the cell finds itself with plenty of ATP and plenty of citrate (the building blocks for making fatty acids), it will stop all flux through glycolysis because ATP and citrate inhibit PFK – a classic example of a metabolic negative feedback control. So the glucose that enters the cell can still get phosphorylated but it doesn’t go down glycolysis and doesn’t get converted to fat but rather gets stored as glycogen or exits the cell. But in the liver, fructose bypasses that whole machinery, because it doesn’t need PFK; it gets phosphorylated at the one position directly, without phosphorylation of the six position first and, as a consequence, now becomes a substrate for aldolase, and it produces even higher levels of ATP and citrate that go on to make fatty acids. No matter how much you’ve eaten, you will still make more fat if you eat fructose. There are two other things about fructose that make it different from glucose. One is that all the fructose you eat is cleared on its first pass through the liver. In other words, the liver scarfs up all the fructose and immediately converts it to fat, while glucose stays in the bloodstream for some period of time. That’s why we call starches hyperglycemic molecules; they keep glucose levels in your bloodstream high for a long time. That is good for the brain – the brain loves to eat glucose. It’s good for the muscle. But fructose doesn’t actually supply any energy to your brain at all, it doesn’t supply any energy to your muscle; it only gets stored as fat. That’s really quite remarkable, if you think about it. You eat sucrose – one molecule of glucose and one molecule of fructose – that glucose is being used by your muscle and your brain – your brain loves getting that glucose – but the fructose is all just getting stored as fat. But does it also mean that you get hungrier – you want more sugar if you’re using fructose rather than glucose? Exactly. You would have to eat exactly twice as much sucrose as starch to get the same amount of energy supplied to your muscle and brain. The brain realizes that, it keeps relaying a feedback so that the more sugar you eat, the more it wants you to eat. Hence the addiction to sweetness. That’s the dangerous thing about this molecule. You might ask – well why did we evolve such a complicated system? Why does only the liver feed fructose straight into fat? I think it’s quite clear why this happens. We have a symbiotic relationship with plants. Plants want to spread their seeds around, so they surround them with fructose. High-fructose material surrounding the seeds gets us and other animals to eat them and this craving of fructose makes us eat them a lot and we end up carrying their seeds around and spreading them. But at the same time, it gives us an advantage because those fruits ripen just at the end of the growing season, which generally means, in almost all environments, that you’re not going to have much to eat over the next few months. So the best way to survive is to convert everything you eat at that time into fat. That is the long-term storage mechanism that allows you to survive until the next growing season. That’s why fructose was spectacular for us 10,000 years ago, getting us through these famines that we faced every year. But today we don’t have famines and so we just get fat. Does this put a whole new gloss on Eve and that apple? You’d probably have to eat about a bushel of apples to get the same amount of fructose as in a 40 oz Coke, which we’re trying to ban here in New York City unsuccessfully. And here’s an additional comment. The way we’ve attempted to avoid this problem is by using artificial sweeteners. The problem with those is that a disconnect ultimately develops between the amount of sweetness the brain tastes and how much glucose ends up coming to the brain. So the brain figures you have to eat more and more and more sweetness in order to get any calories out of it. The consequence of people eating lots of sweeteners, no matter what they are – whether they’re natural or unnatural – is that it increases the addiction for the sweetness. As a consequence, at the end of the day, your brain says, ‘OK, at some point I need some glucose here’. And then you eat an entire cake, because nobody can hold out in the end. The only way really to prevent this problem – to break the addiction – is to go completely cold turkey and go off all sweeteners – artificial as well as fructose. Eventually the brain resets itself and you don’t crave it as much. Cantley LC: The phosphoinositide 3-kinase pathway. Ruderman NB, Kapeller R, White MF, Cantley LC: Activation of phosphoinositide kinase by insulin. Israelsen WJ, Dayton TL, Davidson SM, Fiske BP, Hosios AM, Bellinger G, Li J, Yu Y, Sasaki M, Horner JW, Burga LN, Xie J, Jurczak MJ, DePinho RA, Clish CB, Jacks T, Kibbey RG, Wulf GM, Di Vizio D, Mills GB, Cantley LC, Vander Heiden MG: PKM2 isoform-specific deletion reveals a differential requirement for pyruvate kinase in tumor cells. Lyssiotis CA, Cantley LC: F stands for fructose and fat. I am only a few months into Paleo, and feel so much better now. As for sugar and hfcs, that was taken out of my everyday eating plan a long time ago. I choose to use primarily stevia, and honey and occasionally maple syrup. There are still some sugar when I eat some dark chocolate, ice cream, etc., Worse than sugar for me, is wheat and most grains. I’m incredibly immersed in trying to understand all of this nutrition/health stuff, investigations, publications… For instance I’m in the middle of reading “Fats that Kill/Fats that Heal” by Udo Erasmus and almost “threw in the garbage” “The Sugar Fix” by Richard Johnson due to his flagrant contradictions in the attempt of making us believe that Fructose is so bad for us… He may have a point about the negative affects fructose has upon our cells. But, exaggerating, contradicting or lying and writing incomplete ideas for moving people is scientifically and ethically incorrect. What bothers me greatly is that there is absolutely NO criticism against “the Sugar Fix” on the internet. 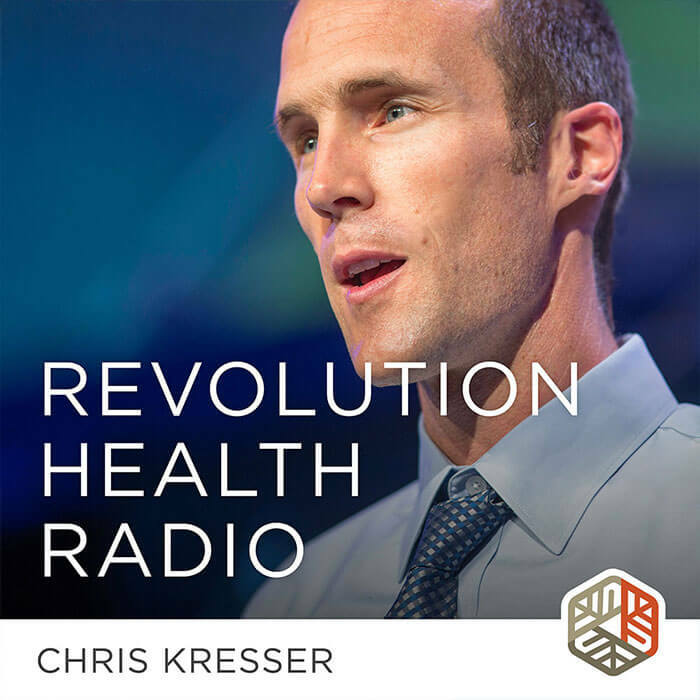 Chris Kresser criticizes Lustig, but he does not allude to Johnson’s blatant contradictions… This is problematic, since creating such drastic dietary or nutritional lifestyle changes for the “lay people” requires clear understandable information. I am so reactive to sugar that even stevia that I use makes me I think my liver things it sweetness and responds. One cherry and i have finished a bag of them in hours. Dangerous stuff to have any fructose even in the form of fruit for a fat person. I would avoid this sweet ness as much as possible even if you are not trying to be slim.I would personally warn all people who have native america blood to be careful as they seem more able to put weight on get to be diabetic and even a n alcoholic after one drink. They seem unable to find the right enzymes to digest or neutralize the toxic effects of these sugars. This may have to with the fact that while CVD has often been associated with type A particulation in LDL, which is saturated-fat stimulated, newer research shows that type B particulation may be the culprit in high LDL numbers – and type B appears to be carbohydrate-stimulated. (I think Chris has mentioned this in earlier posts.) I had a friend years back who had genetic hypercholesterolemia, and she remarked she could eat all the animal fat she wanted, but half a banana sent her LDL number through the roof. That always stuck with me and made me wonder; now we are finding out why. All this to say that while Chris is correct in saying that the occasional bit of sugar or even HFCS is not going to kill us, being that CVD is one of the “big three” killers in developed societies like ours, and some of us, like my friend, are more genetically susceptible to the effects of sugars, refined sugars should not be consumed on a regular basis. Besides, we can debate whether beans, dairy, etc. – all things our ancestors ate – are paleo/primal, but refined sugar is simply not one of the things they ate, and should be rarely eaten by those attempting an ancestral diet. Which is pretty much what Chris said – I think. After 2 years of beeing more-or-less strict paleo I know now for a fact that table sugar is HFCS are not welcome in my body. Every single time I consume any amount of those – my gut tells me “NO”. Palm sugar however seems to be OK. I do get that “sugar rash” feeling a bit but it’s mild and manageable. If one is going to use sugar you might as well use sucanat or coconut sugar as they retain some of the nutrients nature has put in there (it may not seem like much but over a lifetime it adds up). In some dishes I realize that it doesn’t work because they have their own flavor, but in something like coconut flour brownies I can’t tell any difference between white sugar and sucanat because of the chocolate. I agree with Chris that on occasion sugar is not a big deal. Check the labels not just for sugar but the quantity in products. If sugar adds one gram of carbs then that is hardly a cause for alarm, but in other things like flavored yogurt suddenly there is like 35 grams, then it’s time to pass. Seems to me I do have a gut dysbiosis because even small amounts of fruit/honey/sugar… just sweet things in general usually leave me wanting more… even berries ans stevia. When UI eat an apple or fig I almost always end up with an urge to eat the whole tree. I don’t experience the same urge with beef, vegetables, fish in general. I can still over eat out of comfort, but it just isn’t the same for me as sweet foods. If I’m in a really centered space then it may be possible to eat fruit/sweets, but it can often be the thing that takes me back out of center aside from life stress and relationships, which I’ve used sweets almost all my life to soothe, but unfortunately doesn’t get at the root problem which could be sloppy boundaries causing my stress or repressed emotion making me feel out of center. I have read in the past that high fructose corn syrup had sometimes contained up to 65% fructose when lab tested for fructose content. I’m the same, gitta. I managed 6 months sugar free this year, only to fall of the wagon BIG STYLE. I went on a month long junkfood binge. Luckily I am back on track now and it’s been easier to quit the sugar it this time around. It gets easier with time I think! A significant percentage of HFCS is contaminated with mercury. My take on plain, white sugar is that it has no real added value in terms of nutrients: no vitamins, no antioxidants, and obviously no fats or proteins. Just a bunch of calories. The best part about avoiding sugar is that you adjust your taste buds. If everything you eat or drink has sugar on it or in it, your taste buds get accustomed to sweetness and you will need more and more of it. Since I stopped using sugar and gave up all grains, I no longer crave sweet food. And foods like raw fruit taste so much better to me. It’s eye opening. Everyone should give it a shot for a few weeks. I believe everything in moderation! Sugar is hard to not have in our diet, it is in everything. I really try to limit what I have. Wasn’t the big thing about HFCS that it is metabolized different than sugar? According to Prof Lustig, that it is metabolized like alcohol in the liver and that is the main problem with it. I significantly reduced refined carbs, including sugar in Feb last year. I wanted to reduce inflammation since I was taking myself off Vytorin. I also focused on eating more vegetables and fruit. In November, my hs-CRP was 0.27 (if I recall correctly). My blood pressure went to the normal range and I had lost considerable amount of body fat. Around Christmas time, I “indulged” in some chocolate chip cookies. Since then, I’ve been progressively eating more refined carbs and also seeing my weight start to tick back up. The amazing thing about this is, I’ll tell myself I’m being an idiot when I buy the sugar and flour-filled junk and again when I eat it, but I can’t seem to help myself. I need to reboot and just do what I did when I first started – fast at first then eat grapes, carrots, and other naturally sweet fruits and vegetables when I get the craving. To me, sugar is definitely an addiction. I’ve realized the hard way that just like an alcoholic can’t have “just one drink”, I apparently can’t have “just one cookie”. I should note that I am an ex-smoker (two packs a day) and haven’t even had the same response when around cigarettes. Once I even began smoking one cigarette (no idea why) and it didn’t reignite that addiction. I just want to highlight how sugar has more power over me than nicotine. It is important to remember in these types of discussions that we are all different. Different people have different metabolisms, sensitivities, predispositions to addiction, and reactions to foods. I definitely think there is no one true answer, it depends so much on the individual’s body systems and reactions to specific foods. I think we can all agree that excessive sugars are bad for us, but getting down to the nitty gritty of how much is acceptable will vary from person to person. And then I CRAVE something really sweet, ideally ice cream after every meal, no matter how satiated I am! Until the next occasion, being invited, etc. this “evil” cycle starts all over. Going over most of the comments here, there are far too many people, that have the same “addiction” problem… that your article Chris, should have ended with the comment/warning, you gave further down, for people like us… NO! SUGAR is the only solution and trying to get rid of really all “sweet” tasting processed stuff, if you fall in that camp! The problem, you only know it when it’s often too late. Many can not quite sugar without outside help, because their bodies are simply incapable of riding themselves. “Moderation” is for these the worst advice, and I’m sure that was not your intention! However the result, when reading only your article, lacking your above mentioned comment, is RISKY! So bottom-line… man made SUGAR is a very dangerous substance with a very high “addictive” craving potential and for some even worse then nicotine! And in nature the ideal glucose/fructose (most fruits, etc.) ratio = 2:1 compare that to 1:1 and worse even HFCS was found… with up-to (undisclosed) 1:9 = 90% fructose! God/Nature knows why wild/raw honey, combining all the many different sugars in it, has that overall 2:1 ratio and only fools compare organic raw honey to man made sugar or HFCS. They are night and day apart! incl. how they are assimilated and metabolized in our bodies! And all cane, etc and syrups, incl. even praised maple/palm syrup are almost as detrimental as table sugar is, with hardly any noteworthy vital substances they provide! So if something sweet is a “must” for you, then other than fruit, even dried… raw organic honey is the healthiest choice, specifically honeydew varieties, some of these are even “prescribed” in 1st world countries as early treatment for diabetics and they have worked for centuries as cure!! Try that with SUGAR, syrups or HFCS?! I agree with Chris, that sugar in small doses is not toxic. Nevertheless I do avoid it as much as I can, because as soon as I eat a little, I start craving more. What little sugar I eat I ingest in the form of fresh fruit, honey, or wine. Occasional dark chocolate is welcome. As long as I eat some potatoes or rice, I don’t crave sweets. The starch is preventing sugar cravings in my case. That’s also true for me, einstein. While I agree that moderate consumption shouldnt be a big problem I think that if you dont define what ” moderate” means this becomes an exuse for some to go back to bad habits. Psychologically its easier to stop eating something completely than to consume it in moderation. I only have one bite now and again ro humor people. Happy to have that demon behind me. Everyone has a different definition of what moderate means! I am surprised that nobody on this thread, including you Chris, has raised the alternative of eating cheese (can you say “triple cream”) for dessert or a treat. It certainly works for the French, and my family’s experience is that it works for us. We eat our cheese with a spoon or fork (and yes, usually wine) – no need for bread.. Maybe we’re outliers, but I challenge folks to try it. I have cut way back in sugar after learning that my mom is type 2 diabetic. I am obese and trying to regain my health before I get like her. She is 74 (today) and still a sugar addict even though I control most of what she eats she takes any chance she gets to eat sugar and doesn’t like any unsweetened foods. I let her have xylitol in her coffee and I make ice cream sweetened with a little xylitol and fruit like berries. She goes to the senior center and brings home snickers bars, ugh! Anyway, at least in my family sugar is an addictive substance. I do buy evaporated cane juice for making kombucha. But that is all I use it for. Btw, azurestandard.com has birch xylitol. I did not realize that “the main difference is that the fructose and glucose in HFCS exist primarily in their free monosaccharide form, instead of as the disaccharide sucrose as in table sugar”….. Question: Is this significant? Does the table sugar stay in disaccharide form even when dissolved in food? How about during the digestion process? I assume it converts to glucose and fructose at some point, correct? As a Type II Diabetic, I try to stimulate insulin production as little as possible, so I limit sugar. A question, however: the fructose or glucose in HFCS Is still fructose or glucose, so what chemicals are different in GMO vs. non-GMO HFCS? Has that science been done? Chris, Even though “cane” sugar isn’t GMO per se – isn’t it sprayed with Glyphosate during it’s growing season???? I don’t think any non-GMO plant can be sprayed with RoundUp and not die. That is the point of GMO, it’s resistant to RU which is a non-selective herbicide. I just googled and while they are developing GMO sugar cane (of course they are) it’s not widely used yet. So your best bet would be organic sugar. But honestly, unless you are a professional baker, you can use raw organic sugar and just avoid any possible GMO. There’s another reason for developing GMO crops…..profit. If you can convince farmers that GMO crops will diminish their need for herbicides and pesticides they will flock to your product. And once they start using it they’re pretty much locked into it. Also, Monsanto for one, has aggressively pursued the protection of their GMO seeds…even when their GMO crop pollen has contaminated a naturally produced seed crop. Some years ago there was a high profile case in Canada where a farmer who had spent years developing his own brand of soy was sued by Monsanto after his crop was contaminated by GMO soy another farmer was using. Monsanto won the case. I find soda pop to be pretty disgusting most of the time, except on a hot summer’s day when I’m engaged in some extended outdoor activity: hiking, cycling, etc… then I crave it, though even then a whole 12 oz can seems a bit much. I avoided sucrose for about five years, never did me much good, a couple of years ago I came across Ray Peats work and after reading his references I started checking Paleo type dietary claims more closely. I think Peat is correct, there is not strong evidence that sucrose causes disease. Peat’s recommendation however is to get sucrose/glucose/fructose from non-starchy fruits, the major difference being the alkaline minerals. I have seen my health massively improve from increasing fruit intake, calcium, gelatin, and avoiding PUFA etc. Am I to believe that pathological behaviour in mammals with a high metabolic rate that have been starved is due to “sugar addiction” ? Could we cut their legs off and claim that their impaired mobility is due to “sugar addiction” also ? I’d urge everyone to read the articles and references on Ray Peats website. I did grown up in a coffee farm were we made our own raw/brown sugar simply by cooking the sugar cane juice that is very delicious. The brown sugar is made from this simple cooking method without any other chemical. I evidently, to reduce my glycemic index, have reduced its consumption as other not so good delicious but harmful foods. Sugar is not addictive. I reduced its consumption but still use it a little bit on my espresso because I like the taste simply. Moderation is the success as described by the good written article. What about unrefined sugar, such as panela or raspadura (Latin America), piloncillo (Mexico), jaggery (India) or sugar cane juice squeezed right from the cane? I know one must be careful with any source of sugar, but this type contains tons of minerals and vitamins, which, it seems, would help in moderation. Thank you for such informative articles and for your extra input on this subject. Personally I don’t find the sugar-toxic-or-not debate very useful. It’s rather like the tip of the iceberg. I’ve been essentially Paleo in my nutritional practice for over three years and now ketogenic for nearly one. I allow myself small amounts of easy carbohydrate treats occasionally because. as you point out, obsession is damaging. Just encountered Perlmutter’s “Grain Brain” and found it compelling to say the least. I recommend it for anyone “on the fence” about fats vs carbohydrates in their diet. 65 and Loving it. While I don’t consider table sugar to be a toxin and I try to limit its intake, I don’t get all stressed out from eating an occasional Snickers bar nor when I have that Coke on a hot day. I do consider table sugar to be “empty” calories…..like alcohol. As far as I’m concerned, neither does your body any good, they’re not needed to be healthy so why eat/drink ’em. The evidence against sugar seems very weak.. Sucrose is hardly toxic at all. The LD50 of sucrose is 29,700 mg/kg. So a 150lb person would have to consume over 4lbs of sucrose for a lethal dose. I’m pretty sure if you’re metabolically healthy you can consume sucrose without issues. Consuming sucrose does not cause blood sugar issues in healthy people, it has a GI of 58, much lower than that of a baked potato. I don’t think you shouldn’t go out of your way to avoid sugar as long as you’re getting sufficient nutrients elsewhere and you’re maintaining a healthy weight by avoiding caloric excess. Personally, I consume plenty of sugars in the form of orange juice, added sugar to coffee, fruits, and milk sugars and my triglycerides were at a whopping 67.
dose makes the poison. not only GI but the glycemic load is also important. baked potato is not addictive. sugar is. I don’t usually crave baked potato but I do recognize that someone else might. baked potato is full of starch. no problems with starches as the article says. orange juice I would not touch with a six foot pole, and would not recommend it. unless you squeeze fresh oranges for juice yourself. trying to excuse sugar consumption usually just means that either an individual has not enough knowledge about the deleterious effects of sugar or he does not have the willpower to quit consuming it. Gary Taubes’s Why We Get Fat And What To Do About It says it pretty much all, so no need to look any further. The evidence “seems very weak” to you, and I hope you are grateful that you aren’t plagued by the problem. I was, and I am wildly grateful to have stopped eating all added sugar, grain, dairy, and salt 14 months ago. I’ve lost 80 pounds and all of my medical scores are now well within normal limits. I ate sugar at two weddings a month ago, and experienced no symptoms of my former binge-crave-binge issues getting back to business after having done so. I am happily convinced that my vision of Paleo eating has given me a new life, and Chris’ book helps me refine my new found beliefs. Sugar? I can be happier without it! I think the main problem with the overload of fructose in the diet is the “hidden” sugars in all the processed food. That, on top of what is knowingly ingested as sweet treats, can all add up to an overload. I think Robert Lustig expands on the chronic toxic effect of refined sugar overload well as opposed to an acute toxic effect. How do I use sugar? Sparingly. However, I think timing and dosage is key. After resistance training, I use small amounts of sugar to spike my insulin and aid in protein synthesis. This is done in conjunction with protein and rarely, some carbs. I would agree that the psychological stress of worrying and compensating for small amounts of sugar outweighs the harm that the sugar does, so when one has a little treat, whatever. Nonetheless, I would hypothesize that most people suffer from gut disbyiosis and their long-term intestinal permiabity has set them up for a plethora of health concerns. Reducing sugar and perhaps completely eliminating it for awhile could be highly beneficial in healing the gut and putting them back on track. Why dabble around with refined sugar that usually goes hand-in-hand with preservatives and other chemicals when you can eat fruit that would provide the sweetness and the antioxidants in the same package? That’s my two packets of stevia, which would be way too sweet. Keep doing what you do, Chris. A balanced, logical approach to health stands out in the noise of today’s world. Thanks. I avoid sugar in my daily food prep and do not drink any soft drinks. The main problem with high sugar laden foods is that almost all of these also contain refined flower, and highly processed ‘”industrial” oils and preservatives and colorants and not much else. Best example is the fares offered in coffee shops and bakeries. I avoid all that. I only eat such stuff if somebody offers that in their home or at birthdays or christmas. I agree, if you make all your own food at least you know what’s in it and can make sure the ingredients are healthy and as unprocessed as possible. Personally, I try not to eat any pre-prepared food that comes in a packet. I think food cravings are often triggered by nutritional deficiency or stress rather than out and out sugar addiction. I have wonky iron levels – have had for a while – and when things are bad then my cravings go through the roof. I’ve noticed a very similar reaction when I’m chronically stressed by something – which of course I try not to be. It would all be too easy to blame sugar for these cravings especially if I was always stressed and unhappy (I’m not). I totally agree with you, Polly. And with Christina. I used to have a lot of cravings. Sugar and sweet products mainly. I was always low on iron (followed a vegetarian diet for more than 10 years). I felt always tired. My physical performance was getting worse (I was also a jogger). Had some life problems and was experimenting a depression. Even had a candida gut infection that was impossible to cure. Y was just 34 y.o. I switched to a paleo diet, to a paleo exercising program (no more jogging at the same pace) and to IF . Avoided all sugar and breads. Had more salt and a lot of organic meat and eggs. Results: No more cravings (my iron levels are now perfect), no more candida (took me a year to cure it completely), good mood, good sleep, a lot of energy. My mean weight has always the same, but now I never have to compensate for excesses, as I now eat when I am hungry. I have understood that my appetite regulators were broken, because I was always struggling with cravings. Now I never have them. Sugar and the lack of meat (protein and salt, I imagine) was doing me a lot of harm. I am wary of coconut sugar as I have heard it is a problem as an environmental issue as the production of the sugar destroys the whole tree, whereas other coconut products such as the cream, milk and meat come from the coconut fruit and is therefore sustainable. I believe coconut sugar is similar to white sugar as far as fructose levels go. I think of sugar as kind of benign compared to gluten and anti-nutrients, for example. I use it more like an occasional “spice” on some dishes, and on fruits and cream, or yams for desserts, where it doesn’t have to be a main component. They’re at least going to be a whole lot healthier than store-bought donuts and ice cream. I think raw sugar is better (maybe more paleo?) than white, considering the chemical processes white sugar goes through. I used to think I was “addicted” to sugar, but I think it’s more of an emotional attachment. I realize that I can have some and not need to binge on it, and that I can go for long stretches without thinking about it. Raw sugar is worse than white. Simply more dirty. Check out John Yudkin’s Pure, White and Deadly for details. Actually on the bottom of page 27 in Pure, White and Deadly the author concedes that given a choice, he recommends eating “brown” sugar provided it is made from a pure raw sugar. So, I think you may be confused about his preference? The whole point of this book is to educate people about the outdated misconception of brown sugar being “dirtier” than white. I think if you are not worried about having a little sugar, then try and find one that is unprocessed as possible (ie; has not had the molasses removed and then re-added later as is the case with most raw sugars on the shelf), it tastes better than white sugar too. I think avoiding as much unprocessed foods as possible is the way to go. In regard to coconut sugar, I am wary of this. Not so much from a health perspective but an environmental one. I’m am not sure about this, but I have heard that production of coconut sugar destroys the whole tree, where as other coconut products such as milk, cream and meat all come from the actual coconut fruit, thus being a sustainable source. I think raw sugar is the least processed. Brown sugar is basically white sugar with molasses added back in. I personally do indulge every once in a while with a cake (gluten/dairy free still) and have to say during one week I eat about 1 bar of 70%-90% Lindts dark chocolate a square at a time… It is rich enough that 1 square feels indulgent and does not leave me wanting more. I find the article interesting. I have my coffee black but I do have about 1/2 tsp of brown sugar with my tea once a day… so my question is, where does brown sugar fit in this picture? As most people will tell you…sugar is sugar is sugar. If cancer feeds on blood glucose. Is it better to follow a more ketogenic type diet where you burn fat for fuel instead of glucose or are the 2 not related in regard to cancer. Eliana: cancer DOES use glucose as fuel, but the link between blood glucose levels and cancer isn’t terribly strong (even in those with diabetes, whose blood glucose levels are far higher than the average “healthy” human being, though there are certain “diabetese-related” cancers). Even if you were to follow a ketogenic diet, your blood glucose levels would still remain in a tight window; your body would break down glycogen stores to release glucose into the blood stream, and your liver would synthesize glucose as well in order to maintain homeostasis. I wouldn’t be concerned. Ok that makes sense. But I still I wonder about the fact that low carb diets DO seem to cause lower hba1c thus lower avg. blood glucose. Isn’t it possible that that still makes a difference for cancer? Also isn’t it possible that up regulating the mitochondria’s ability to burn fat also makes a difference? Ie the balance gets swung? the only sugar I use is in BBQ rubs and sometimes making pepper jelly used to season hot wings. Just a note that most refined white sugar is made from sugar beets which are now mostly GMO. So if you do use refined white sugar, make sure you get pure cane sugar if you want to avoid GMOs. So from a fructose intolerance perspective is refined sugar just as bad as HFCS? And how bad is that in comparison to other natural sources of fructose? I think sugar is highly addictive and promotes overeating. I really don’t care what scientific experiments say. Sugar from fruit seems to have a similar effect on me. I feel I need to restrict them to. Not ban them, but restrict them. Also: sugar is obiquitous in processed foods. Why: 1) it enhances taste or it disguises the poor quality of the product, 2) it promotes overeating. I agree that if you eat a healthy diet 95% of the time, enjoying a treat made with regular sugar will probably not kill you, but from my own experience — having struggled with moderate obesity all my life — the addiction can return very quickly. And a treat once a week turns quickly into two and more and you’ll end up craving sugar every day. As much as I appreciate a balanced approach, I would advise everyone who has a sweet tooth and who used to be obese to remain cautious. Chris, what about Ray Peats views on sugar? It seems that he encourages sugar to be up to even half of your daily caloric intake, provided you get the context right. Ie, eating protein, gelatin etc. I don’t agree with Ray Peat on this, and I don’t think research supports his views. Nor does my clinical experience. What would be the point of ingesting half your daily calories in the form of a nutrient-devoid, edible-but-good-for-nothing-other-than-pleasure stuff? Even simple logic says that you should eat vitamins, minerals and useful macronutrients along with your calories. Ray Peat is a joke. Ray Peat doesn’t recommend to have 50% of your calories from white sugar. He recommends to have 50% of your calories from sugars from fruit, honey or milk. Having 50% of your calories from carbs is quite a normal recommendation, and I think most people here agree that sugars from fruit, honey or milk are much better digested than starches. People often forget that 40% of the calories in human milk come from sugars. Lactose is a molecule very similar to sucrose. Sucrose is glucose+frucotse while lactose is glucose+galactose. Galactose and fructose are metabolized in a similar way in the human body. It looks as if not everyone has a metabolic disorder and some can tolerate some sugar and fruit etc. For those that are fat all their lives don’t touch any of it or most grains and carbs as well. Grren veggies have enough carbon to stay healthy . So take my unscientific word for it . If you are fat on a 1200 diet of regular calories then stop all carbs and sugar and don’t wait for proof .Some people are ok with it but look around usa . Most are not. SORRY lots of spelling mistakes in last post . I agree with you, Daliya. From metabolism perspective, chances are sugars do more harm than good. They kick our Insulin skyhigh. Easy access, often binge eating, roller-coaster our metabolism. Indulge ourself once, we’d end up with another on and on. Been there, done that! I was once catagorized as a MetS and been through a couple of yoyos with HIIT, but finally had lost 14 kgs in 3 months (after getting the idea of Paleo Diet/Lifestyle, particularly from the Paleo Solution) and never wanted to go back through that scary seemingly endless weaning period anymore. Some people’d take years to wipe out the chaos. The hell with sweetness, but yeah I like it and do eat those sugars on occasion. Doing so if and only if that’s we have ruled out our MetS. Overweighted? think twice! I don’t know about “most” (that may well be true), but there are definitely people who find fruits, honey, and especially milk (lactose intolerance?!!!) to be much less digestible than starches (glucose). There are people with fructose intolerance, but I have not heard much about anyone with glucose intolerance, in terms of digestibility. I have problems with histamine, and most fruits give me stomach aches, while I can eat white potatoes quite happily. I think the indigestibility of fructose, lactose, and certain fibers or other constituents (histamine-related for example) of fruits for a portion of the population is pretty well established. A diet based on fruits, milk, and honey would leave me sick in bed, and I’m certain many others would agree. In contrast to that, there seems to be a subset of people who positively thrive on a high fruit diet (Denise Minger comes to mind) . . so, there must be some sort of microbiome difference probably, and that’s why there is no 1 diet for everyone. Ray Peat doesn’t recommend you just eat straight table sugar, he recommends foods where the carbohydrate content comes from sugars rather than starches (especially orange juice, milk, fruit and honey). He is also fine with eating refined sugar, in foods like coffee, ice cream and chocolate. He does write about “Fructose therapy” that was used by William Budd and P. A. Piorry, who added a large amount of sugar to the diets of diabetics to keep them from wasting away. Don’t bash something you don’t fully comprehend. Ray Peat eats a lot of sugar, if you want to attack sugar, go for it. But most of that sugar comes from fruits & milk. Ray like Kris states that table sugar wont kill you (like the fear mongers will state), as long as you can handle it. One piece of fruit no matter which fruit, will obliterate say 5 tbls of coconut or olive oil with regards to nutrition … So if getting as many nutrients, vitamins, minerals, etc, as possible is important to you, getting your calories from say fruit or milk is 100 times better than getting your calories from oils which is devoid of much nutrition (other than for purposes in your body which require fatty acids to function). There’s enough fat soluble vitamins in say eggs, liver, or cream, so adding tbls of low nutrient oil to food to meet your caloric needs due to the fact you don’t eat enough fruit or drink milk is an interesting way to look at things. all the best. It also doesn’t feed cancer cells, in fact it may help to kill cancer in a ketogenic diet. On top of all that it seems that it helps altzheimer’s patients. So… if worse came to worse and I had to choose between eating a tablespoon of sugar and the caloric equivalent of coconut oil, I’d take the coconut oil. A healthy person will not increase their chances of cancer by eating sugar, key word, healthy. 30 years from now when people who avoided sugar are still getting cancer, maybe then we’ll observe better what is, in fact the root cause of cancer. It only took cholesterol 45 years to clear it’s name, i’m guessing the same will eventually happen with sugar. Ketogenic diets seems to be Godsends for many people (probably the ones that needed a glucose reset as no one in prior recorded history ate sugar 365 days a year), but lets not turn a blind eye to all the people that its causing issues for. Admitting it’s not the perfect approach for everyone will not take away from the fact that it has helped so many. The same is true for sugar (mainly milk & fruit imo). Nor will it tarnish the reputation of Chris, or anyone else in the nutrition world that speaks of its many benefits. There’s no such thing as a blanket protocol, we are not all the same robot. We all know in the nutrition world there are many fanatics within all the diets, don’t confuse what a particular Peat follower does, with the writing of Dr.Peat. Dr.Peat prefers eating his energy in the form of sugars from fruit & dairy b/c they are nutrient rich, and he processes glucose,fructose, & lactose properly. If you are one of the many who also burn sugar well, this will no doubt be a better option than trying to burn fat for calories … and vice versa with regards to people who are better at burning fat for fuel. Sugar, like protein & fat, are all crucial, and it would be wise to be mindful of that when thinking long term. Once someone can start showing me many centurians that have been ketogenic their whole lives, then you’ll have my attention. Until then, anyone’s who’s doing long term ketogenesis is merely a science experiment. Yes, there is a mechanism you don’t understand. Dietary fat is generally regarded as contributing to insulin resistance. You make it sound like Peat advises everyone to eat half their calories from white sugar, when in reality he probably would encourage most to get their sugar from whole fruits and milk. I hope Peat strongly recommends raw milk. Pasteurized milk causes so many chronic health problems. Thank god for Chris kresser. To a diabetic, sugar in any form may as well be toxic. This is another instance where the BG meter MUST be your guide. With a family history of diabetes, and after watching family and friends waste away, and die way too soon from following the conventional wisdom of diabetes care (simply eating whatever you want, but monitoring BG, along with our current American sick care system in general), there is no truer statement than ‘sugar in any form may as well be toxic’. On the topic of addiction, I’m going to have to side with doctor’s Hyman and Lustig, and say that sugar is indeed addictive. I ate tons of sugar growing up. My mother was a sugarholic herself and she was always giving us candy. I recognized my addiction early on. I recall reading of how sugar wasn’t good for us and thinking to myself I just couldn’t give it up. But now I have, practically. I got a box of fancy chocolates for my birthday last month. So far, I’ve licked the dark chocolate coating off a few of them, that’s it. My son (who gave them to me) has partaken more of them, with my blessing. I bought a pint of Haagen-Dasz ice cream a couple of months ago. Most of it is still there. You get the picture 🙂 I do put xylitol in tea. btw, I’m aiming to lose some weight, and that’s part of it. But, as with alcohol, I’ve concluded it just doesn’t serve me. Jenifer, sounds great but be aware that most xylitol is now made from GMO corn. You may be able to find certified birch tree xylitol on line. Or try a small organic stevia plant (available at whole foods in summer), dehydrate the leaves for 12 hours in the sun or in a dehydrator, then crush the leaves for an unrefined, long lasting sweet supply. That said, I do purchase from a company that advertises their xylitol is from birch (Xylitol USA), but I would not have any qualms about consuming it from any reputable company. Jennifer, it is admirable that you are being diligent in your quest. Considering that Europeans did not have sugar before the 12th century I think that it shouldn’t actually be very hard to RE-adapt to a pre-sugar lifestyle. It is when we mix socially with others who don’t share your goals where the trouble rises. I too have cut down quite a bit and have substituted with Xylitol, modestly, for a few places where I really like a bit of sweetness. I’m not quite so concerned about the GMO issue as some. Humans have hybridized many, MANY crops since the beginning of the Neolithic age. Even native Americans had drastically changed the landscape and there are virtually no natural environs left on the planet. I’ve read a few dissertations on GMO and view some of the concerns as more alarmist than real. The simple FACT is that we now have 7 BILLION people on the planet and we must do this if we are going to survive and not have to kill off our neighbours for the meagre resources that are left. That SOUNDS like a joke but the danger is real! Food, water and fuel shortages have sparked MANY wars! Christopher, for centuries plants have been hybridized. These changes increased yields but in some cases reduced the quality of the nutritional value. The major problem with GMO corn is that through genetic splicing, now every cell of the plant and it’s fruit contains the herbicide Round-up, and pesticide. I have a friend that farms in the neighborhood of 1,000 acres of corn, and won’t let us have one ear to eat, and is sickened that it is even fed to animals. Because of federal regulations this is the only seed he can get…so thank you Monsanto and Texas A&M. GMO corn does not contain Round-up, the GMO corn is resistant to the effects of Round-up so that it can be sprayed on the fields to kill the “weeds” and not the corn. The happening though is that the “weeds” are now adapting to the Round-up use; i.e., becoming resistant to Round-up through natural selection. The same thing is happening with the BT gene in the corn to kill insects….the insects are becoming resistant to the BT produced by the corn. In order to ensure that the use of these GMO grains remains a viable profit source, the farmers need to plant non-GMO crops along with the GMO crops to decrease (it won’t eliminate the problem) the weeds and insects from adapting. We are going to have to agree to disagree. As you pointed out, the BT gene is spliced into the seed, as is round up. I got my information from sellers and users of these seeds. When a friend that grows the stuff says “Don’t eat it”, I am going to take his word for it. Many countries have now banned the use of these seeds from being imported into their respective countries. Do a little research into Monsanto and their practices. The BT variety of corn has a gene in it that makes a toxin that kills the corn root worm. It kills it by causing the insect to have Leaky Gut Syndrome! Talk to naturopaths, Leaky Gut Syndrome is off the charts in North America. Comparing hibridization to GMOS is like saying it is ok to have hidrogenated fats because we can make butter out of milk. and the english royal family. Even so, this was just for hybridization. Problems with GMOS are much worse, as people fail to realize that is not a CONTROLLED even. This engineered species can enter the food supply uncontrolled leaving no chance for humans who want to play safe to do it. This is not ok, has the TESTING needed for GMOs to be considered safe for an experiment like this is COMPLETELY NON EXISTENT. They can not, and should not be released into the wild. You want GMOs, you make them grow on DOME controlled like biospheres. Farming GMOs in the wild might lead to another form of human pollution – THE GENETIC POLLUTIONS (as if we didnt screwed up mother earth enough already). This genetic pollution, entering the food chain can contaminate every living thing on a short generation span. Do you want to risk it? NO. It is not needed. You dont need GMOs. You need a proper economy, where propper food is valued. GMOs are not a solution to the worlds hunger problems – that is nothing more than a heart appeal. I agree sugar is addictive and dangerous…at least for many people. as well as linked to Robert H. Lustig, MD important research like on youtube “sugar the bitter truth”. The only sweetener I will eat ( very rarely and small amounts) is unheated, raw honey…the ONLY sweetener that has been proven to be a healing food and is a true ancestral, REAL food.